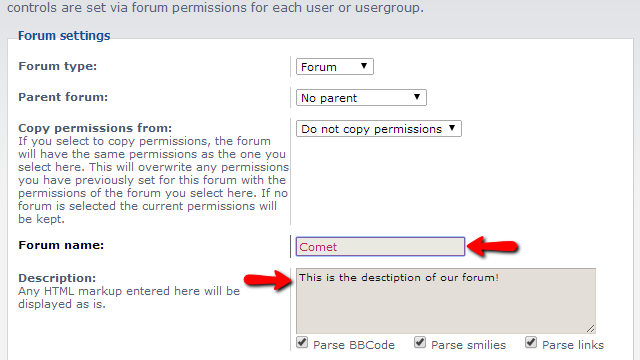 The forum management is a process of editing the forum name, description and other settings related to already existing forum on your phpBB platform. 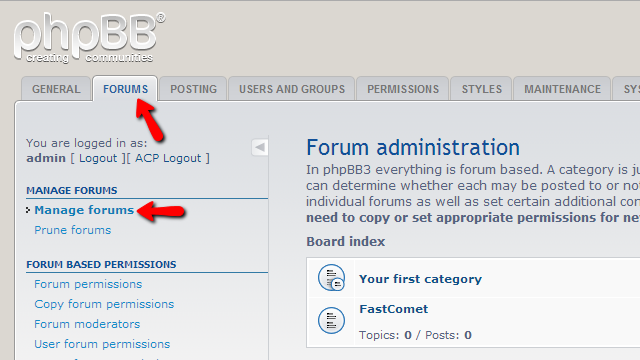 If you would like to learn how you should create a forum please check our other phpBB tutorial. 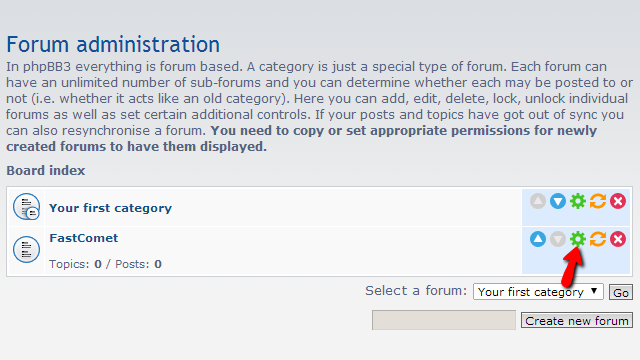 In order to access the forum management page you will need to login into the Administration Control Panel of your Board and then to navigate to Forums>Manage Forums. There you will be able to see under the Forum administration section a table view presenting all of your existing forums. 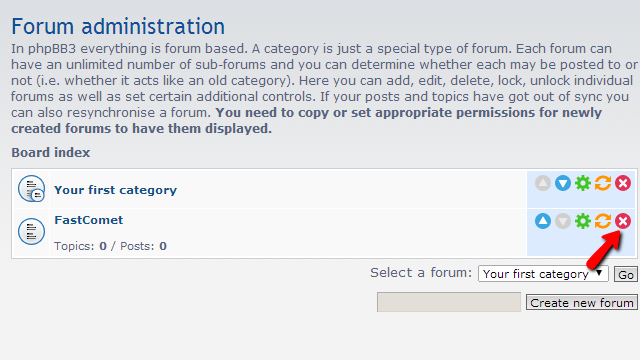 In order to modify existing forum you will need to click on the green icon next to the forum name. Of course there are quite a lot of other settings which basically includes any information you might want to change on your already existing forum. Once you are done editing the information please scroll down and use the Submit button in order for the changes you have applied to be saved. This action will redirect you to the next page where further information on the deletion of the forum and a confirmation of course will be requested. As you can see you have the option to delete the forum but preserve its posts by moving those into another already existing forum. 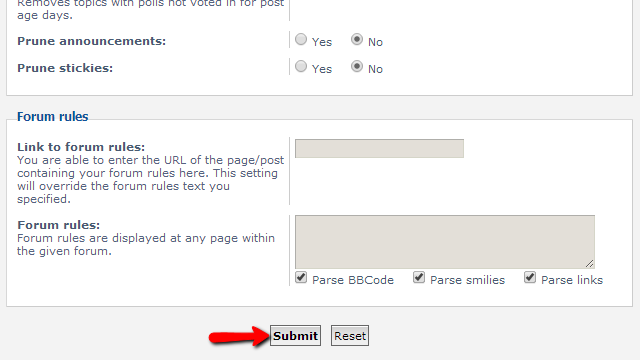 Please choose the option which will fit the most to your need and hit the Submit button once you are ready to delete the forum. That’s it! You now know how to manage the forums on your Board!